Summer 2017 is the first “season” that I’ve ever ridden consistently bar commuting a few years back. I don’t wanna sound soft, but I’m pretty sure my motivation to get outdoors on two wheels is gonna dwindle in line with the reduction of daylight hours and decreased temperatures. 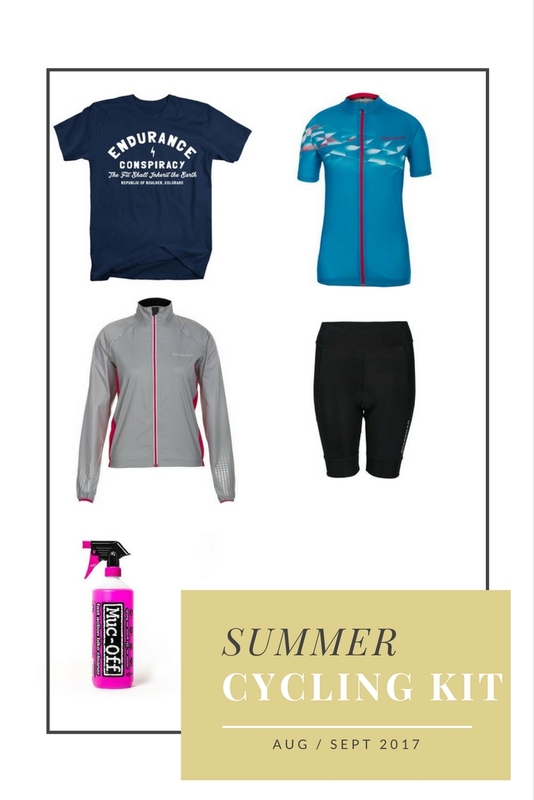 So in a last ditch attempt to pretend that summer is still gonna be with us for a while, yet having autumn in the back of my mind I wanted to share a few pieces of cycling kit I’ve found useful and / or have loved! Let me start with a confession. 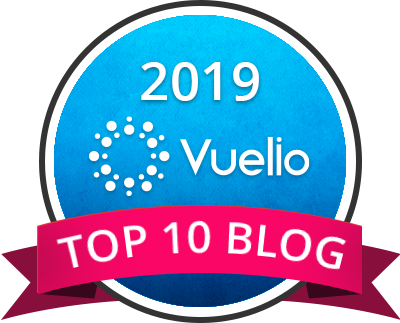 I committed a sin and there’s nowhere better for me to confess than right here on the blog. Because, this time it paid off. Thankfully. 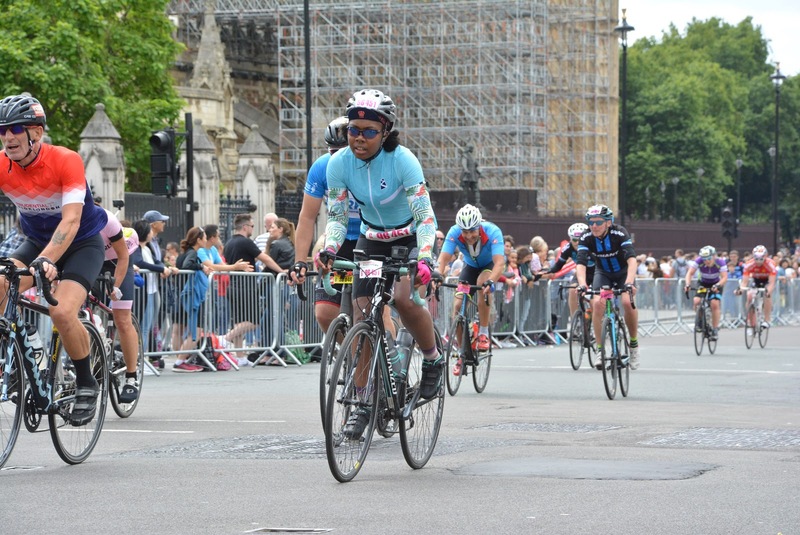 For RideLondon-Surrey Forty Six I wore a completely new kit (pictured above). Yes I did. It’s like the number one rule not to wear new kit on race day but I had faith in the recently launched NOUVO kit from Ribble Cycles. It actually arrived the night before I left for Paris and as tempted as I was to swap out one of my kits that really would’ve been a huge risk to take. So instead I saved it for my next event. I had also hoped to test it before RideLondon but I ended up needing a break from cycling due to overtraining and only went out for a short spin the day before (so wouldn’t have had time to wash it in preparation for the next morning). Anyway, I picked out my kit to make sure it all matched as best as my options would allow (you know I’m obsessed) so along with the NOUVO jersey and bib shorts, I wore my stance socks, new clip-in shoes, Svelte arm warmers, Rapha Women’s 100 cap (I try not to think about the fact I couldn’t ride that) and… when I got the email the night before from RideLondon informing us that rain was likely, I was a little unsure because believe it or not, in all the time I trained for Paris and the actual ride to Paris, it never rained once (touch wood here please). Luckily, I do own a couple of cycling rain jackets which I hadn’t had the chance to test so for race morning I popped on my Boardman jacket as it was the lightest, thinnest and most likely to fit into my jersey pocket if I didn’t need it. And yes, I was lucky enough to not need it after just using it to break the wind on my short ride to the Olympic Park. I didn’t carry any “luggage” on my bike and I was lucky enough that the jacket could fit into a jersey pocket even if it did make me look like the equivalent of a bag lady on a bike with lumps and bumps all over my lower back! I love the fit of this jacket and the fact it has a zippered pocket on the back for extra storage. The jacket along with the entire Boardman range is available from Halfords (pictured below). I’m not a huge fan of bib shorts as I can’t stand the faffing required just to go to the toilet. I did have to get undressed numerous times before the race start but I had planned on not stopping during the ride itself which meant this wouldn’t be an issue. 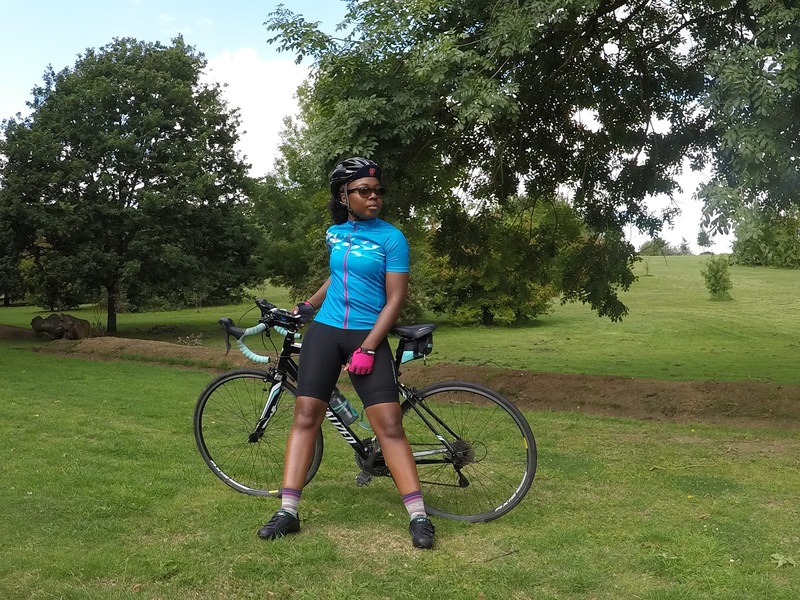 Having chatted lots about cycling kit over the past few months it seems that one of the top reasons to choose bib shorts over regular ones is the fact that there is no waistband to potentially dig into you and cause discomfort. And apparently cleaning your bike is a thing. Unfortunately for me, I live in a flat BUT I do have a bath tub and yes, I clean my bike in it! I use Muc-Off bike cleaner from Decathlon as you simply just spray some on, leave it and then wash off. I use an old toothbrush to get off any really stubborn dirt! I’m still holding out for a few more warmer weekends in London Town so that I can keep the short sleeve jerseys and cycling shorts on rotation! Any kit you’ve been loving recently? !